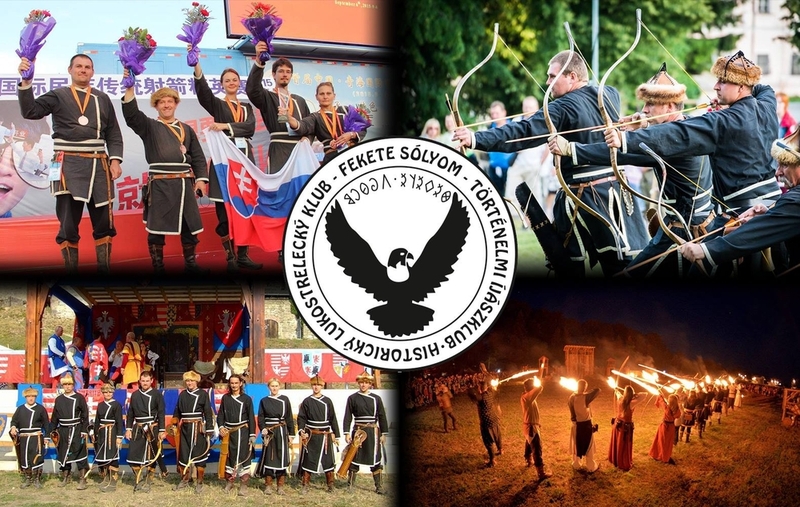 Historical archery club Fekete Sólyom, headed by Valéria and Peter Bogár from Marcelová, has been working for more than 15 years. The Archery Club is focused on the period of Avarov (8th - 10th centuries) and its purpose is to revive and preserve the beautiful arts of historical archery. 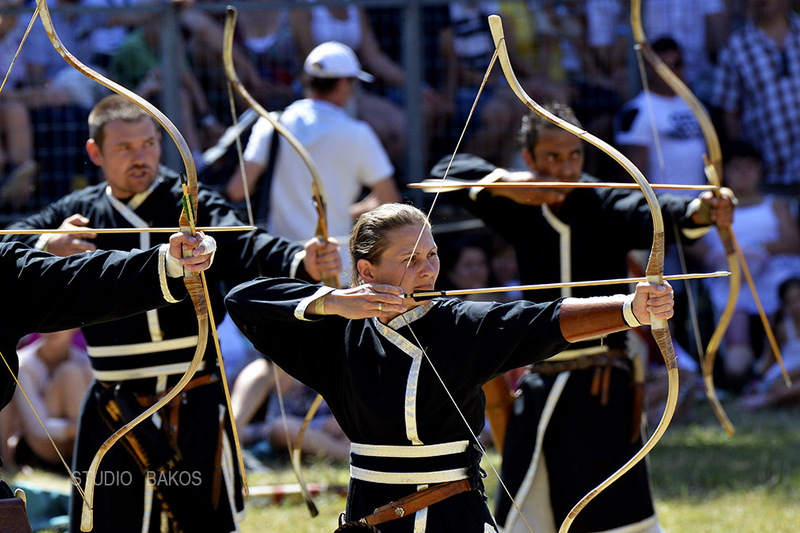 Every year we take part in international archery competitions, we are permanent participants of domestic and international historical festivals where we demonstrate arts and archery art and the way of life of avaric archers. We also teach archery training in children's camps and schools and teambuilding events for companies. 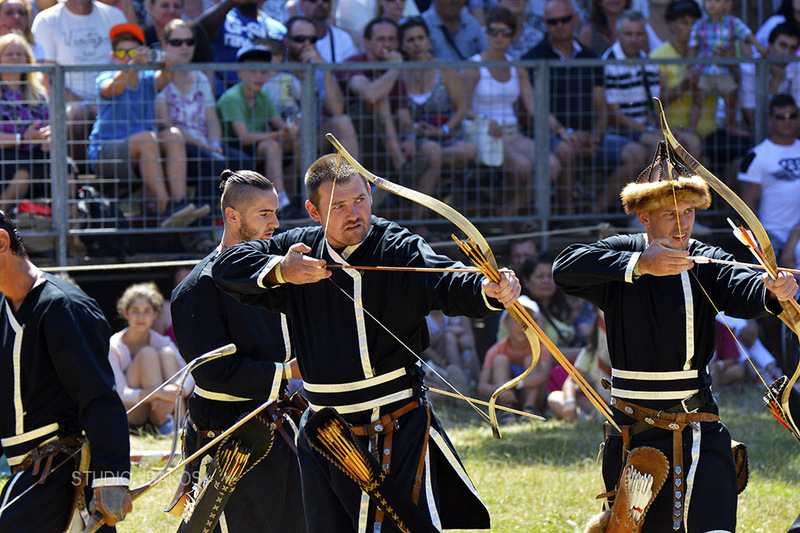 The show of archery itself consists of several parts: presentation of the period clothing and shooting needs of the avarian archer, demonstration of various types of bow, dynamic demonstration of shooting the archer - pawn, shooting in formations, demonstration of shooting with a strong bow - shooting on different types of armor with arrows with authentic hand forged tips, speeds and more. Pre-arranged parts of the show will be shown at each event. The show program consists of members of the club with the aim of long-term interest in the audience. The main objective of the demonstrations is not only shooting, but also its overall informational and educational character. The production of period clothing, arrows, and accessories that members make themselves always precedes detailed research.